I was fortunate enough to spend 5 nights in Hong Kong and 4 nights in Singapore in October 2014. I had an absolutely fabulous time and whilst in Hong Kong I jotted some notes down on things I found cool about my trip so here they are. I think this ranks as one of the most amazing things I have seen in terms of a place of interest. 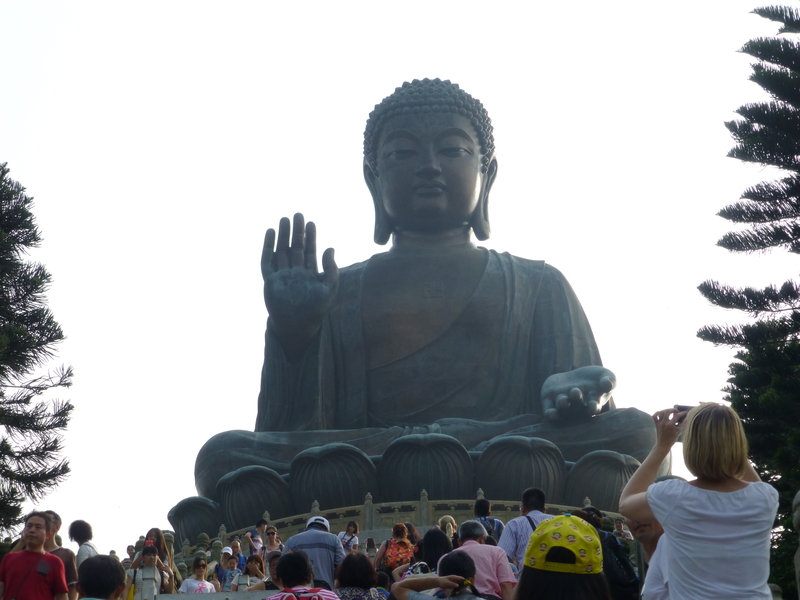 Perched on a hilltop on Lantau Island this was once the world’s largest seated outdoor bronze Buddha statue. It stands at 26 metres tall and is an awe inspiring sight. I took a 25 minute cable car ride (Ngong Ping 360) from Tung Chung to the tourist village in Ngong Ping which includes souvenir shops and eateries. I highly recommend this to anyone visiting Hong Kong although I would avoid this on a National holiday as my wife and I queued for 3 hours to get on the cable car in the heat (32C) but it was still worth it! Yes I am being serious, they make noises to inform you that the end of the escalator is near and there are bright signs warning people to mind their toes! Sadly I did not get to go on the longest outdoor covered escalator system in the world due to the pro-democracy protests happening on Hong Kong Island. 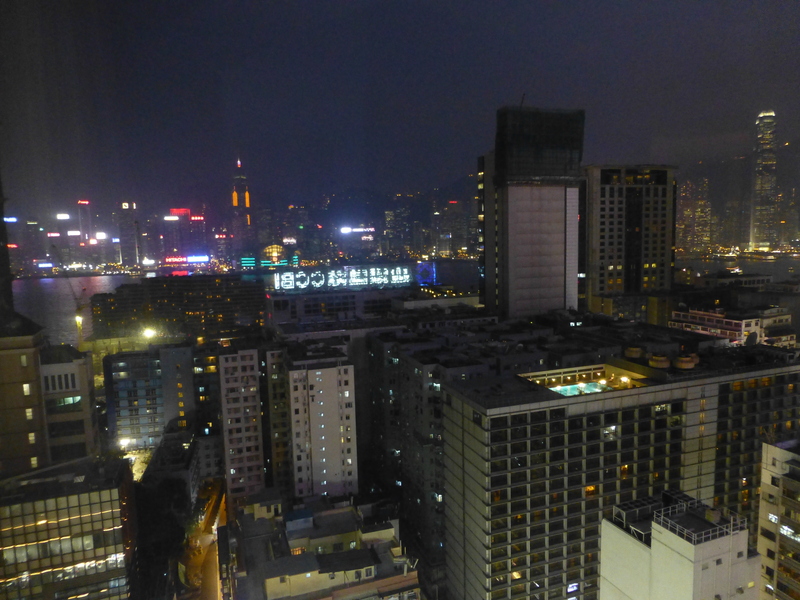 We chose the Hyatt due to it’s close proximity to shops and the MTR and we were not disappointed. Our room had a harbour view which was amazing especially at night time. The hotel was of a very good standard and the buffet breakfast was excellent. One of the most convenient and differentiating features of the Hyatt was the smartphone you could use for free! I used it heavily throughout my stay and it included free national, international calls to the UK as well as free Internet. The main demonstrations against the Chinese government affected my ability to visit some of the areas on Hong Kong Island specifically Central and Admiralty. During my visit some protesters gathered near our hotel in Tsim Sha Tsui and we came across them peacefully sitting on the ground as this picture shows. The stand off between police and protesters began to get more serious as we left Hong Kong for Singapore. The situation is still unresolved at the time of writing this blog post. The MTR is Hong Kong’s equivalent of the Underground in London and it was really easy to use, clean and efficient. I was really impressed and I purchased an Octopus card which I loaded with credit to get around Hong Kong. We even used the underground stations and subways to walk around to keep cool and avoid people trying to sell us dodgy watches. The stations are spotlessly clean, the trains are air conditioned, with plenty of space in the carriages. Signs and announcements were in English and you also get excellent mobile phone reception so you can receive calls, check your email and surf the web. The London Underground could learn from the MTR in Hong Kong. I highly recommend a trip to Hong Kong!